YI, Kiho is Director of Nautilus@Seoul. 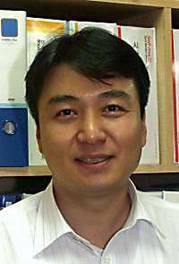 He has also worked as Secretary General of Korea Peace Forum since 2003. He had worked in Korea Christian Academy with a focus on Korean Political Change and global peace network for about 10 years before 1999. With his work, in 1997 he finished his Ph D dissertation titled 'Social Movement Network in the democratization process of Korea' in Yonsei University. Between 1999 and 2002, as a visiting scholar, he studied in Waseda University in Japan, concerning on Local Civil Movement and Peace in East Asia. He has taught political change and social movement or civil society and NGOs in university.